To coincide with the 2019 Total Solar Eclipse, eight social media users have been hand-picked from the pool of users that have signed up for the competition to attend ESO’s second #MeetESO social media gathering. The winners of the competition have been selected based on their social media presence and their creativity, dedication, and passion for sharing interesting and relevant content about astronomy and ESO with their communities. Eric Benedetti, United States of America. Eric can be found on Instagram and Facebook. Paul Davies, United Kingdom. Paul can be found on Twitter, Facebook and Instagram. Guillaume Doyen, France. Guillaume can be found on YouTube, Twitter, Facebook, Instagram and on his blog. Tara Foster, Ireland/Australia. Tara can be found on Twitter, Facebook, Instagram and on her blog. Olivia Haider, Austria. Olivia can be found on Twitter, Facebook and Instagram. Felipe Hime Miranda, Brazil. Felipe can be found on YouTube, Instagram and Twitter. Ariel Waldman, United States of America. Ariel can be found on YouTube, Twitter, Facebook and Instagram. Carol Wright, United Kingdom. Carol can be found on Twitter, Facebook and Instagram. We would like to thank all those who signed up for the #MeetESO competition for their interest and enthusiasm in visiting our sites. At the beginning of July 2019, #MeetESO will take the winners to the La Silla Observatory at the outskirts of the Chilean Atacama Desert, where they will have the opportunity to join eclipse enthusiasts to witness the solar eclipse. 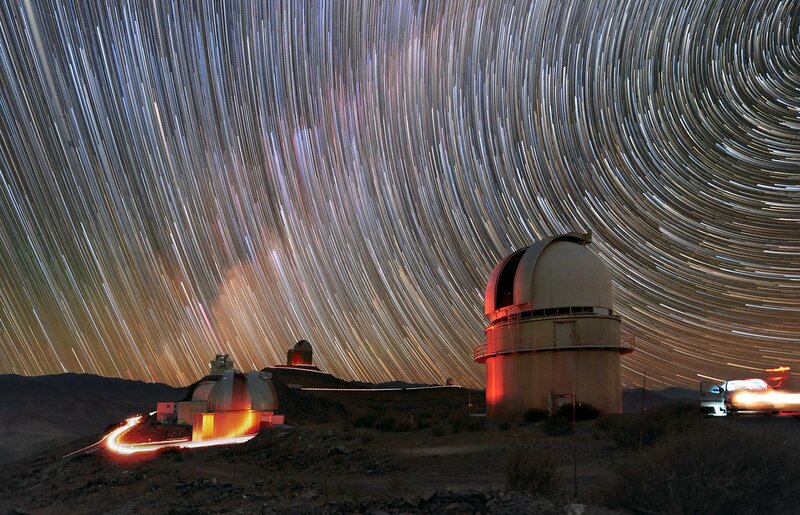 From La Silla, the eight winners will travel to Paranal, home of ESO’s Very Large Telescope. If time allows, #MeetESO participants will also visit the construction site of ESO’s Extremely Large Telescope, the world’s biggest eye on the sky. Finally, the group will visit the Atacama Large Millimeter/submillimeter Array (ALMA), the largest ground-based astronomical project in existence, led by ESO together with its international partners. We look forward to welcoming these eight keen social media users at our sites and we invite you to follow their adventures via the hashtag #MeetESO, or by following them on the channels above. Additional information about #MeetESO can be found here.